The Trastevere neighborhood in Rome is full of highly recommended restaurants and foodie joints. Beware though, it’s popular with tourists, so it can dish out some pretty high prices for dining! To help you pick the best places, we’ve created this “Where to Eat in Trastevere Rome” guide, so that you can enjoy Trastevere like a local, savoring the best foodie places in the area without paying double the price! Trastevere is a must-visit neighborhood in Rome, it’s one of our favorites! Its sweet cobbled alleys, narrow and winding passageways and buzzing social scene all add to Trastevere’s charm. It’s the perfect hangout day or night for good quality food and a winning ambiance. 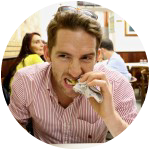 To avoid tourist traps, check out our list below of some of the best places to eat in Trastevere – Happy eating foodies! This is our favorite restaurant in Trastevere and it’s number one on the list to take visiting family members and friends. This award-winning family-run business boasts authentic Roman tradition inside and out. Previously a prison, the restaurant is divided into three rooms with the decor being full of old antiques, scrolls, and tools. If you look at its ceiling, you can see the original bricks during the times of the old papal prison adding an interesting touch to your dining experience. With classic dishes like Amatriciana, a seemingly hard to find Puttanesca and an incredible Fiori di Zucca, the food is high-quality at exceptionally reasonable prices. A must for a chilled evening out in the neighborhood. This is one of those well-loved local restaurants. 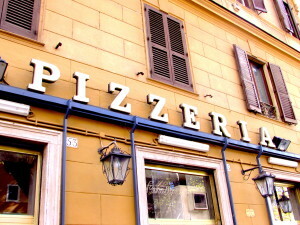 Full of Roman families, it is known to be the best place to get a classic thin-crust pizza typical of the capital. With classic toppings loaded on to the pizzas, you’re in for a real treat here. Try the battered cod, filetti di baccalà, too as a well-recommended addition to your meal. More often than not there is a queue outside and the speed of service is not bragged about, but the food definitely is, so it’s worth the wait. This particular pizzeria is one of the most popular in the city, so don’t miss out. We love focaccia and the traditional panini, but once in a while you just want a regular slice of white bread. This is something we do crave now and then and Capatoast delivers magnificently in the form of the classic toastie. There is a gorgeous Milanese salami toastie along with other meaty options too. With many vegetarian and vegan options, this little street food number really does cater for all. 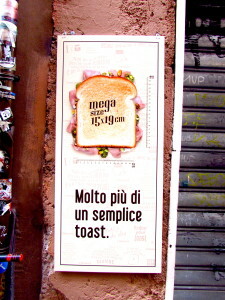 With a good selection of breakfast options too this place is a real hit in the Trastevere area, morning to night. Head to Piazza Trilussa as the locals do to enjoy your white sliced snack. Gelateria del Teatro is one of our favorite places in Rome. With an impressive selection of gelato, you can choose from the classics such as pane and stracciatella but also other really creative and fresh flavors such as rosemary, honey and lemon and crème brûlée. 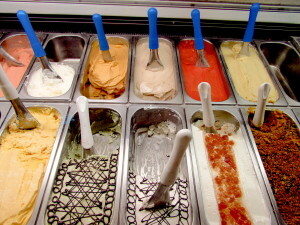 This is exactly what we like about this gelateria, you have the standard Italian flavors, but you also have the funky, cool and quirky flavors to choose from too proving something a bit edgy and different. 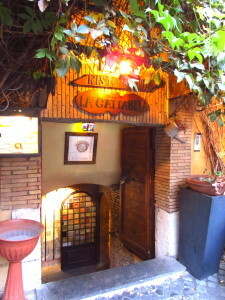 It’s the perfect place to grab gelato for your afternoon stroll in Trastevere, being located right by the Tiber river. If you’re tired of typical Italian biscuits and flaky pastry, then Le Levain is definitely for you. 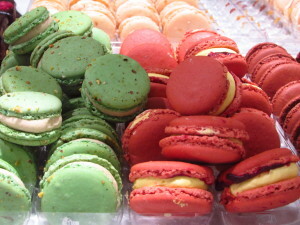 It boasts immaculately presented and simply gorgeous looking pastries. There are your traditional bits and bobs of Italian desserts here and there, but it is the French influence that makes this bakery a unique find in Rome. With a selection of small tarts, choux pastries, and the most divine macarons, you really don’t know where to start when choosing. There are also savory options too such as salmon quiche, so it’s not just for those with a sweet tooth. Le Levain also boasts an attractive interior (with WiFi which is always a plus) and is an ideal place for a sit-down pastry and pitstop on your tour of Trastevere. You can also find some packaged foodie treats on sale for you to take home with you. Even though there are so many neighborhoods in Rome to choose from for food, Trastevere is definitely at the top of our list. There is so much variety in this neighborhood, with something for everyone! Lots of great traditional food, but also food with a foreign influence. 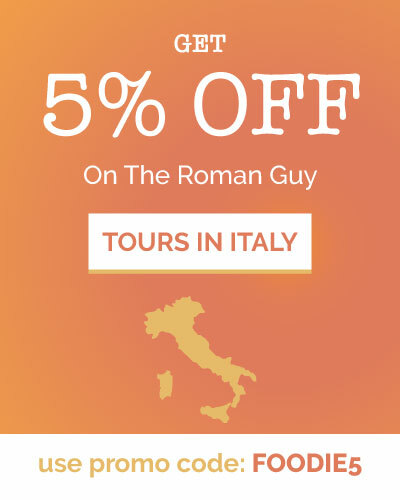 So visit Trastevere for a tasty Roman pizza or traditional bowl of pasta, or stroll around the neighborhood and discover other cuisine options, or even Italian food with a twist if you do fancy an alternative! If you found our post on “Where to Eat in Trastevere Rome” useful, please share it. We’d love to share out foodie tips with as many people as possible so that they can also avoid tourist traps and eat the best food possible! If you enjoyed this post, please share on social media and include our handle on Facebook, Instagram, or Twitter – We’d love to share our Roman Foodie tips with more people!